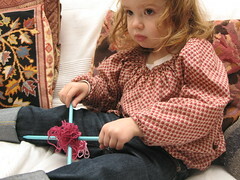 She is actually interested in knitting! 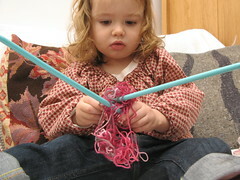 Well, they end up more like drum sticks with the yarn in a massive tangle, but she’s having fun all the same. 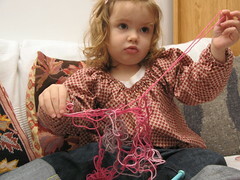 She says she’s making socks. I’ll let you know when they’re finished!